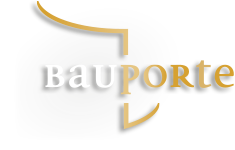 With our high-quality, custom-made door and entrance systems, Bauporte has a unique position in the global market. The development is all self-organised; from design to production and from installation to maintenance services. This allows us to provide the best possible support to the architect, developer, contractor and end users. Through our own locations, we are present in England, Belgium, the Netherlands, Austria, Ireland and Germany. 5200mm Tall revolving door for Hilton Tbilisi, Georgie.